P.F. 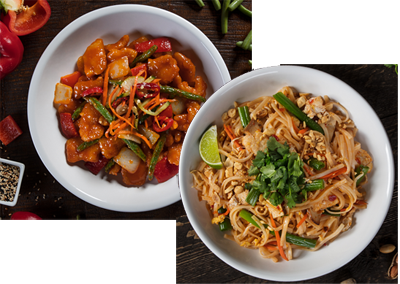 Chang’s is offering a Buy 1 Entrée Get 1 FREE Coupon! – Offer valid with any dine-in entrée purchase Today only, Tuesday, 2/5. Show the barcode to your server to redeem. * Valid through 8/5/18 for dine-in purchases only. *Buy one main entree or salad and receive a second entree of equal or lesser value free, valid 2/5/19 only, at participating P.F. Chang’s restaurants excluding Hawaii, Puerto Rico, airport locations, and international locations. Valid for dine-in purchases only. Charges for modifications not included. Does not include entrees on the Chang’s for Two or catering menus. Limit one redemption per table..